In a world of many distractions and difficulties, where do you look for guidance? The serenity of silence and the practices of Integral Yoga will help you to realize the guiding light already within you. Remember, these days away from the demands of daily life are intended to invite deep reflection. This guidance will help you to make inspiring goals for 2019! 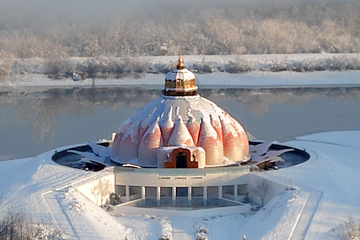 Take this retreat hOMe with Sri Swami Satchidananda’s teachings. Immerse yourself in silence, while seasoned teachers offer experiential workshops and classes in Yoga philosophy, meditation, deep relaxation, and more. You will also have the opportunity to seek support or clarification by asking written questions.